You wake up in the morning, there’s a soreness in the back of your throat. You’re just dehydrated, you think. But it doesn’t go away. Actually, it’s getting worse. You take some medication, drink lots of water, and head to bed early for a good night’s rest. You rise the next morning and lazily open your eyes. You start inhaling, to fill your lungs with the cool morning air. But the air won’t come. You start panicking. Your sinuses and nose are clogged – you’re suffocating. At last, a tiny bit of air penetrates your lungs, and you survive to live another minute – but you don’t know if you’ll make it much longer than that. You realize that your nose is dripping like a faucet, your chest is clogged, your throat is still sore, your head throbs, you feel both hot and chilled, and you start thinking death may have been better than this miserable condition. You’ve got the common cold. I don’t know about you, but I’ve always wondered how our society has sent humans to outer space, or designed financial indexes that predict the performance of complex stocks, but can’t cure the most basic illnesses. Instead, we go about our lives like walking pharmaceuticals, our pockets jingling with pills instead of coins. It wasn’t always this way, though. Once upon a time, our ancestors coped with recurring illnesses like the common cold and the flu without using toxic drugs. How did they do it, you say? I’ll tell you how. It was all done with the use of herbal medicines that can be found in your back garden. There are countless viruses that cause flu and cold symptoms. The viruses are able to adapt and evolve in order to bypass your immune system, so the colds and flus never stop. Doctors treat these illnesses by prescribing medicines that relieve the symptoms. But, in many cases, the prescribed treatments only disrupt your body’s natural healing process. Instead of interfering with your immune system, the following herbal remedies will support it and enhance your body’s ability to fight viruses. Echinacea is one of the most popular herbs for strengthening immune systems and fending off viruses. It supports and enhances white blood cells, protecting your body against infectious diseases and foreign invaders; expands production of interferon, proteins released by virus-infected cells to stop the virus from multiplying; and increases immune cells’ ability to engulf and destroy invading microbes. Echinacea is a flowering plant from the daisy family, and can be found in eastern and central North America. Plucking this flower can help shorten the duration of colds and flus by as much as one-third of the standard time, subtracting two or three days from your misery. For effective use, begin ingesting Echinacea before or as soon as symptoms appear. Take approximately 900mg throughout the day. It’s more effective to take frequent dosages, consuming a couple of drops every hour or two. Astragalus is an immune system booster that’s commonly used in eastern medicine as a tonic. Derived from the legume family, you can find this flower in temperate regions of the northern hemisphere. Don’t use this remedy as a short term cure, but rather as a long term immune system rebuilder. Studies prove that it strengthens your immune system and fights, bacteria, viruses, and leads to declines in the percentage of senescent cytotoxic T cells and natural killers cells. Consider Astragalus as a preventative measure, and use it to strengthen your body for the future. 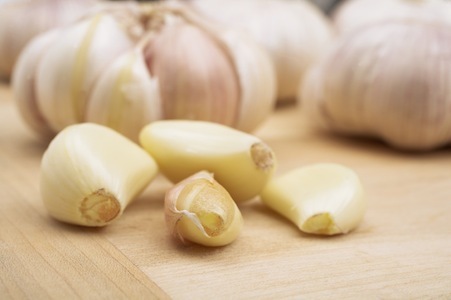 Not only will garlic help fend off vampires, but it’ll help you treat the flu too. Garlic is a very active substance in inhibiting and killing microbes. It also helps to accelerate expectoration the process of coughing up and expelling mucus. You may want to buff up on your garlic intake this flu season. Simply add raw garlic to your salads and dishes. Always use raw garlic, otherwise the active ingredients may have been lost. Licorice root, found in southern Europe and Asia, contains high levels of glycyrrhizin, which has antiviral, antimicrobial, anti-inflammatory, hepatoprotective, and blood-pressure increasing properties that allows it to kill viruses, particularly flu viruses. Similar to Echinacea, Licorice Root can also be used a preventative herb because it has polysaccharide components that activate your system’s production of interferon and grows white blood cells. Ephedra has been used in traditional Chinese medicine for over 2,000 years. Although its possible side effects pose risks to some people, it shows many promising benefits. The plant contains ephedrine, a chemical substance similar to epinephrine (adrenaline inducing) and pseudoephedrine (decongestant). Really, there are thousands of different herbs that can help improve your body and relieve your symptoms. The key is to educating yourself on herbal remedies. Hopefully this list peaked your interest, so you can continue your research independently. We have access to an unlimited number of natural medicines in Mother Nature’s backyard and our own back gardens; turn your head away from those toxic pharmaceuticals and open your eyes to the light of herbal medicine!